Thanks for standing behind your product and making it a pleasurable transaction. Wheel covers look just like the OEM ones with exception of the center caps. This is a good looking product; however, the looks are deceiving. There is nothing to hold this product in place if you hit a pot hole or if you accidently rub up against a side walk this hard plastic is finish! For the money; NO! Very unsatisfied with this product. 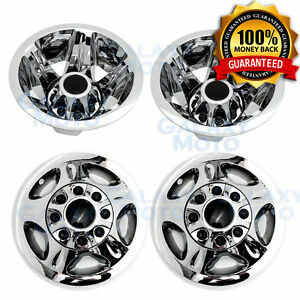 I will buy these again when I accidently hit more curbs, Great product, Great value! I bought these to replace the OE. I was blown away by how much they look like OE they just don't have the Bow Tie on centers but I bought some and put them on. They cost 1/3 of the Dealer OE. Great value !